Ending the fifth ODI due to floodlight failure was not an ideal finish to the series but South Africa will be pleased with the 5-0 result as they continued to test different players for the World Cup. Markram starred with the bat after a rare failure from Quinton de Kock. Imran Tahir, Kagiso Rabada, Lungi Ngidi, and Anrich Nortje were amongst the wicket, chipping at the Sri Lankan batting lineup at regular intervals. Faf du Plessis continued to impress as captain, astutely managing his bowlers and scoring more runs than any other batsman except de Kock. 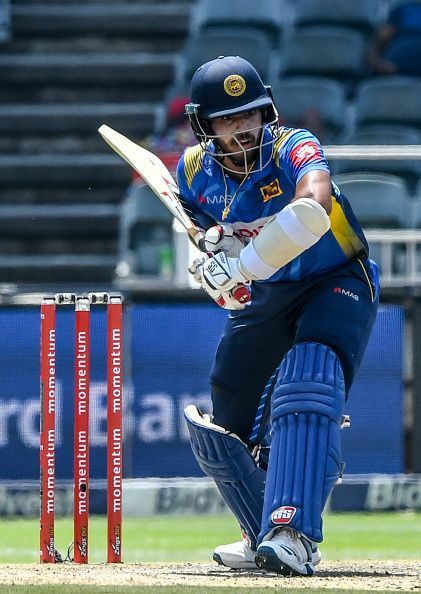 Sri Lanka's poor ODI form continued in this series, with the batting form of Kusal Mendis and the bowling of Dhananjaya de Silva and Thisara Perera being the few positives. The squad overhaul between this series and the previous New Zealand series showed a lack of confidence, and injuries to Angelo Mathews and Kusal Perera did not help stabilize their batting. Quinton de Kock led the batting with 353 runs, with one century and three half-centuries. South Africa continued finding more players for their World Cup Squad and would be impressed with Anrich Nortje's bowling in that regard. Nortje, with 8 wickets, was part of an impressive pace bowling attack alongside Kagiso Rabada (8 wickets), Lungi Ngidi (8 wickets) and Imran Tahir (9 wickets). His performance puts him in contention for the backup/fourth seam bowler position, alongside Rabada, Ngidi, and Dale Steyn. 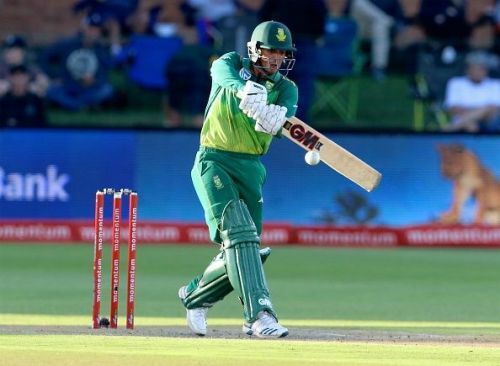 Quinton de Kock and Faf du Plessis were the batting standouts and were ably supported by Rassie Van der Dussen (112 runs in 4 matches) and Aiden Markram (67* in the fifth ODI). JP Duminy and David Miller did not get many batting opportunities, but have experience on their side to keep them in contention. Andile Phehlukwayo continued to impress as an allrounder, with 3 wickets in the series and a useful 38*(15) in the third ODI. 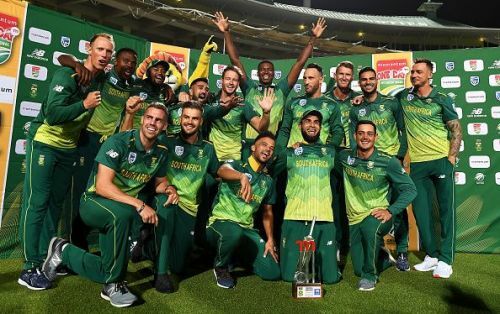 South Africa are in a better place from a World Cup perspective, as they have more clarity on the players being considered. The performances of the emerging players (Nortje, Ngidi, Markram, Van der Dussen, Phehlukwayo) will hold them in good stead in the long term as well, with a few senior players expected to retire within the next few years. Kusal Mendis' batting and wicket-keeping ability were a rare positive for Sri Lanka. Sri Lanka went into this series having overhauled their ODI squad hoping that it would help turn around their performances, but a 5-0 loss suggests otherwise. Kusal Mendis and Isuru Udana were the only batsmen to score half-centuries, and Dhananjaya de Silva and Thisara Perera were the only ones to end the series with a bowling average below 30. Oshada Fernando impressed with 127 runs but did not manage a score above 49. Niroshan Dickwella and Upul Tharanga scored a combined total of 31 runs. The poor performances, lack of confidence and clarity in the Sri Lankan team culminated with coach Chandika Hathurusingha being forced to return to Sri Lanka following the ODI series - a move indicative of lack of confidence in the coach and one that could possibly result in his sacking. Should he be sacked, it continues the trend of coaches coming in and going out. This would serve to create more chaos at a time when certainty is needed. Lasith Malinga showed tactical acumen as captain but only managed 4 wickets at an average of 51. With Sri Lanka having lost every match under Malinga, there is an outside possibility that he might not be captain at the World Cup. But with Sri Lanka having burned through multiple captains (Mathews, Dinesh Chandimal, Upul Tharanga, Perera) since the last World Cup, the Lankans aren't left with too many options.